Pop quiz: in what part of the U.S. can you find the most untapped talent? Pencils down. New York? Nope. Los Angeles? Guess again. The correct answer is South Florida—specifically the area from West Palm Beach to Miami. 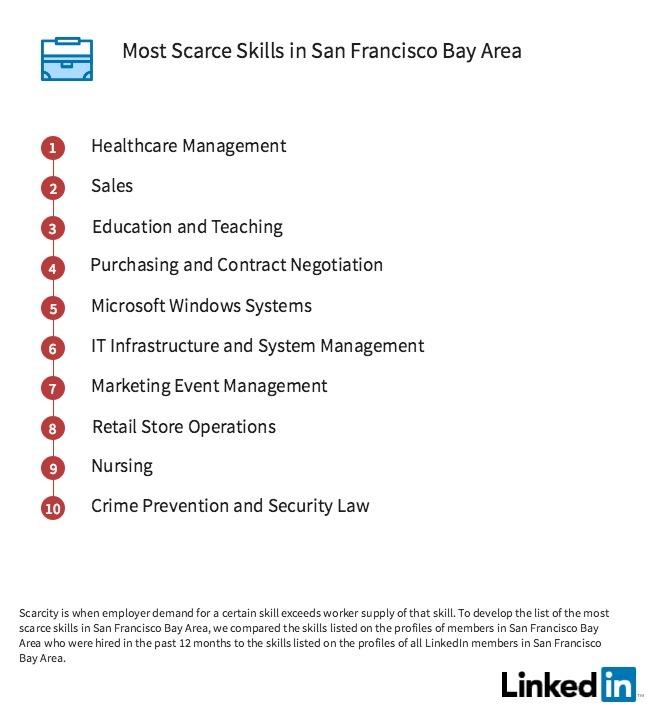 That’s just one of the surprising recruiting insights you can glean from LinkedIn’s first monthly Workforce Report on the U.S. as a whole. 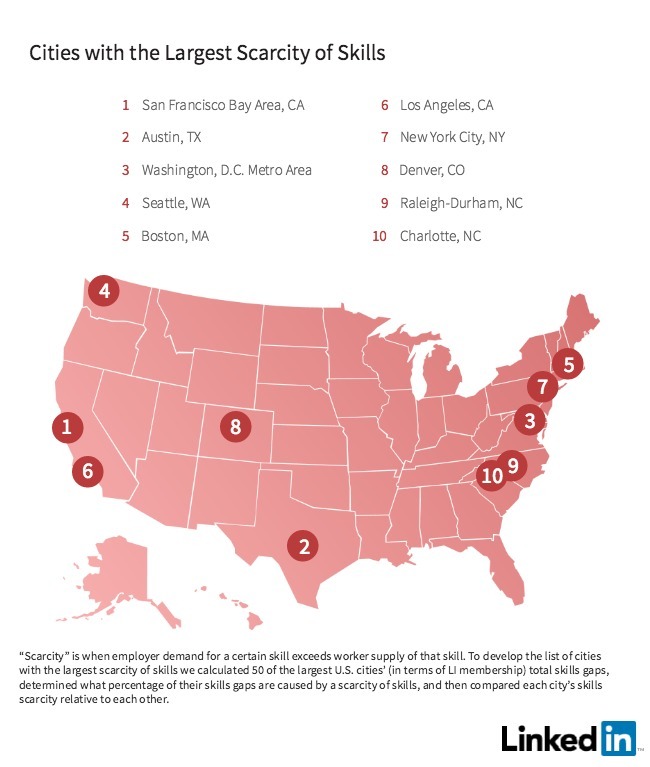 (There are also handy localized reports on the country’s 10 biggest cities: Atlanta, Chicago, Dallas, Houston, Los Angeles, New York City, Philadelphia, San Francisco, Seattle, and Washington, D.C.) While ostensibly aimed at job-seekers, the reports also offer insights galore for recruiters—which is why we’ve teased out the most important trends, skill gaps, and stats with an eye towards hiring. 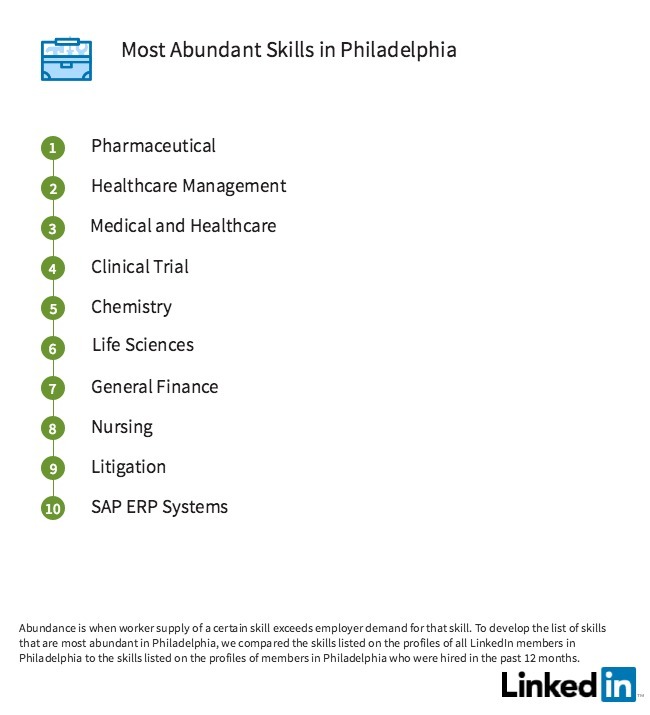 Based on 133 million American workers, thousands of local companies, and millions of jobs on LinkedIn, there’s enough juicy data here to make an analytics nerd weep. Whether you want to take the pulse of your local talent pools, manage hiring managers’ expectations, or scope out a new city for sourcing or for your next regional office, use the insights below as your recruiting roadmap. Prepare for a busy year. Chances are your team is looking to hire more than you were last year—and so is your competition. Hiring is on the rise—especially in the oil and energy, transportation, manufacturing, technology, and engineering industries. 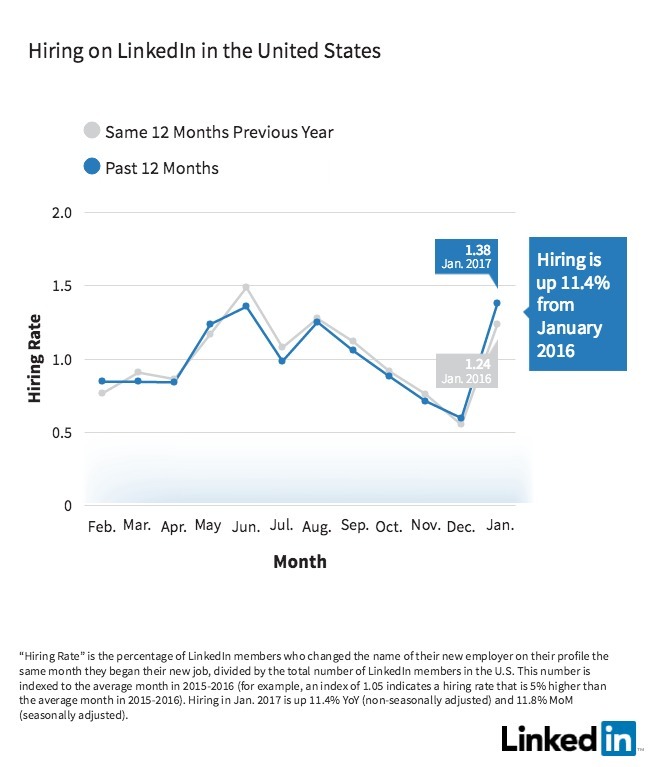 Hires are up all across the country, with 11.4% more hiring in January 2017 than in January 2016. Every single industry boasted higher rates of hiring—with one notable exception: the media and entertainment industry alone fell between January 2016 and January 2017, with hiring 3.5% lower than last year. The oil and energy industry saw the biggest surge year-over-year (YoY), with hiring up 23.3% this January as rebounding energy prices start to undo the damage from the sharp decline in 2015 and 2016. The manufacturing / industrial and aerospace / automotive / transportation industries followed close behind, up 14.2% and 15.3% respectively. Check out the full report to see each industry’s month-over-month (MoM) changes in seasonally adjusted hiring rates. The numbers may surprise you: for example, while YoY hiring is up by 11.1% in the telecom industry, MoM hiring is actually down 7.3% compared to December 2016’s seasonally adjusted rate. 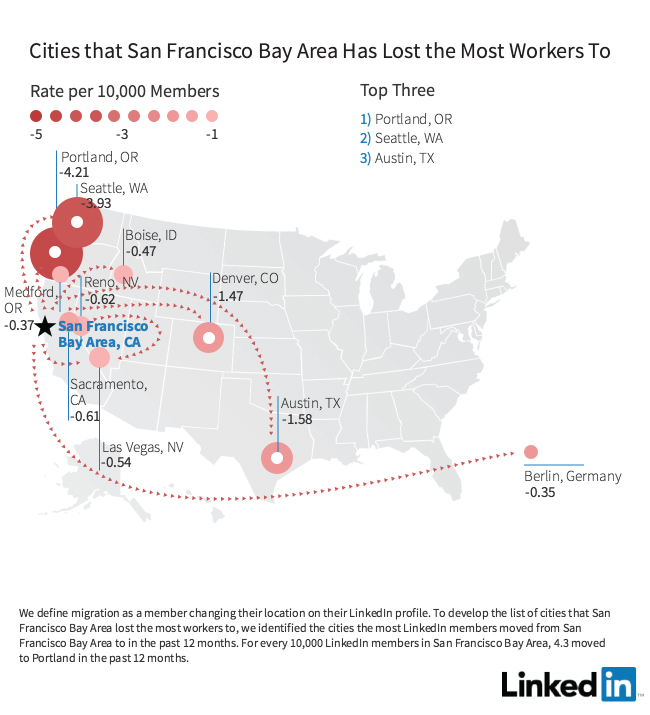 If you’re looking to entice some talent to relocate from a far-flung locale or you’re thinking about opening a new office somewhere across the country, look no further than the graph below. 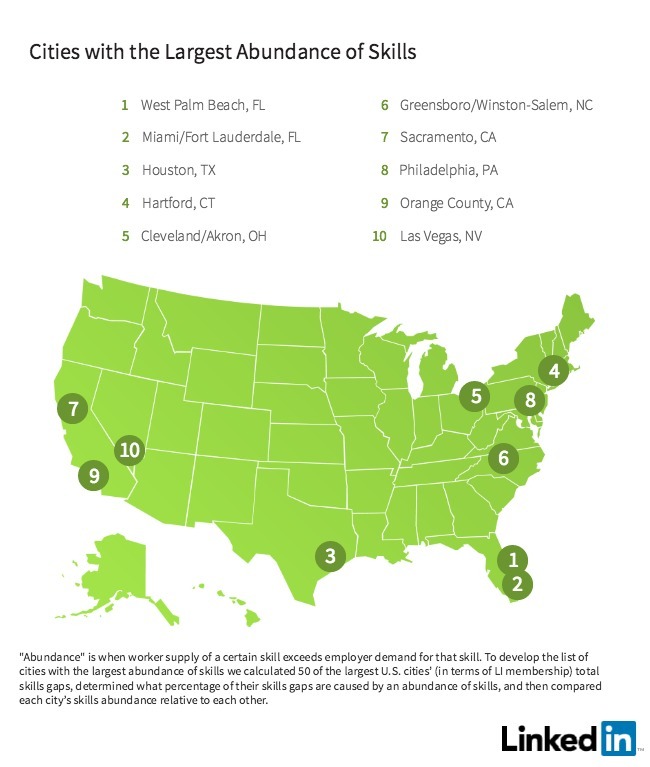 These ten cities offer the greatest abundance of certain skills, where supply is outpacing demand. As mentioned earlier, Florida tops the list. As a recruiter, the Everglade State may offer an invaluable, untapped talent pool. If you’re looking to hire for these skills in Houston or Philadelphia, you can probably offer slightly less and still catch quality candidates. If you’re based outside those cities, you might want to start sourcing there and entice some talent to relocate. On the flip side, you may want to think twice before diving into these cities. 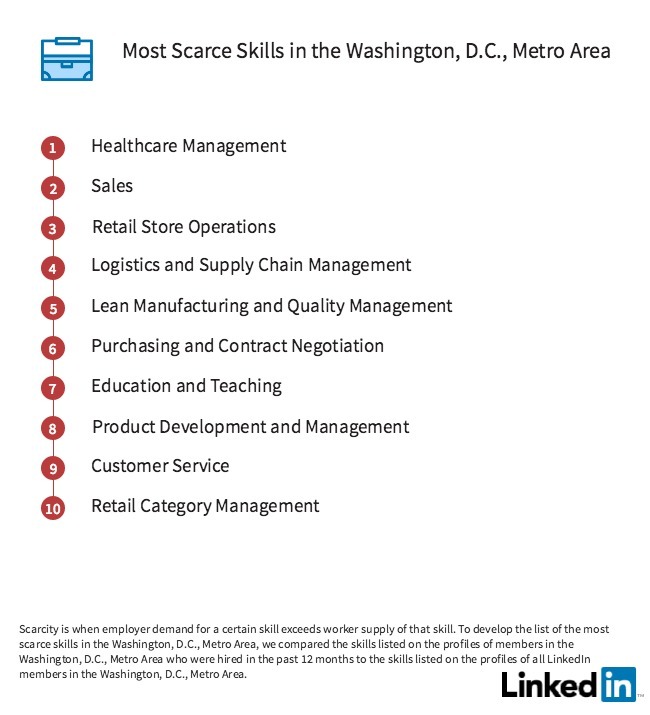 The ten cities below have the greatest scarcity of skills, where demand for certain skills outpaces supply. 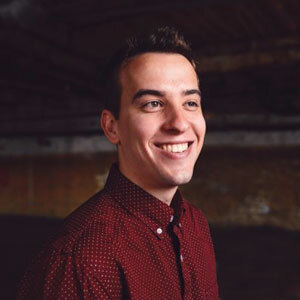 If you’ve been sourcing for those skills in these areas, you can breathe a sigh of relief: it’s not your fault—it’s the talent pool that’s shallow, not your recruiting chops. Now you know to start looking towards greener pastures for your next hire. Alternatively, you can continue to recruit locally: just make sure your offer reflects the low supply in your area. 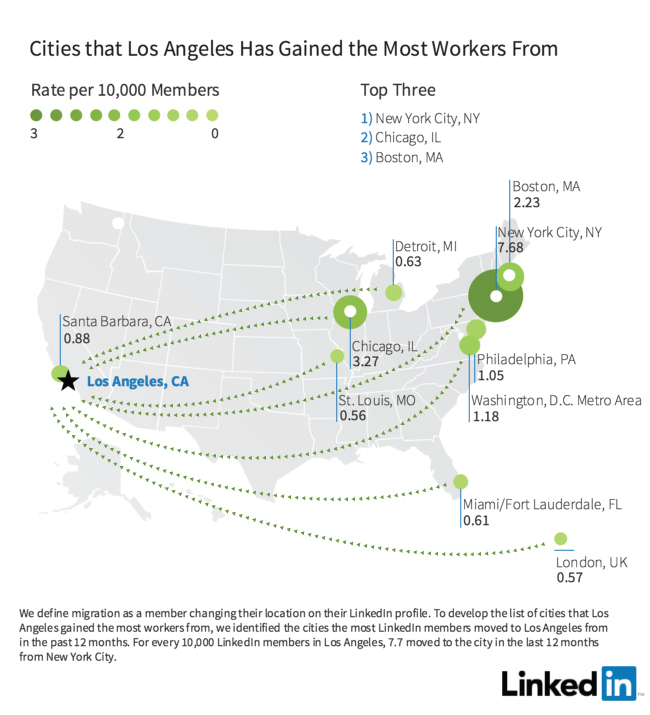 If you’re thinking about where you might expand, consider what cities saw the greatest growth in workers over the last year. On the whole, the American workforce seems attracted to more affordable cities with easy access to the great outdoors, with cities like Seattle, Portland, Austin, and Denver topping the list. 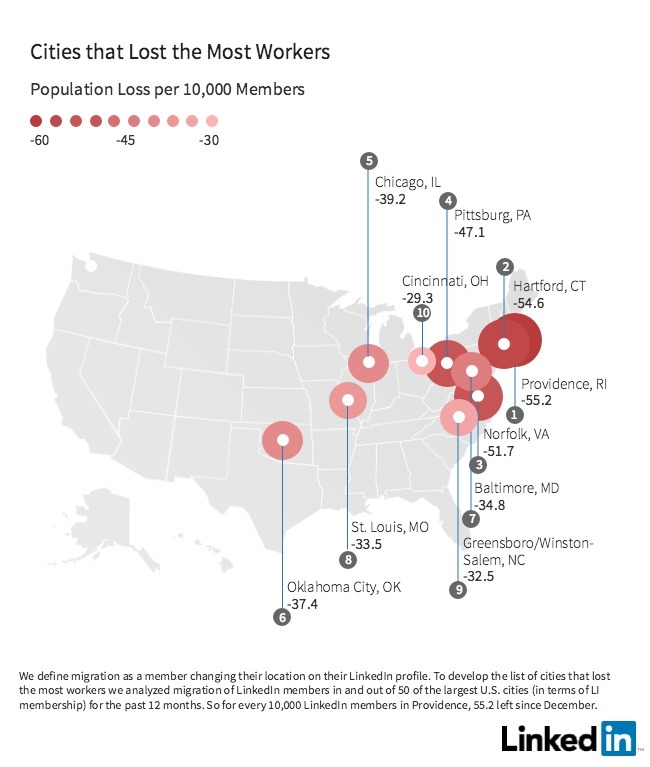 The city-specific reports also provide nifty graphs illustrating where each city gains workers from—and what competing cities they’re losing workers to. This can help recruiters see how the tides are shifting and offers clues on each area’s culture. On the other hand, Los Angeles is primarily pulling talent from colder locales across the East Coast and Midwest known for rough winters and relentless work ethics—perhaps these people are flocking to the City of Angels for the warmer weather and sunnier work culture. When recruiting, there’s no reason to restrict yourself to your immediate surroundings. With these insights in hand, you can navigate talent pools from sea to shining sea—and align your tactics, strategies, and expectations to reflect the reality on the ground. 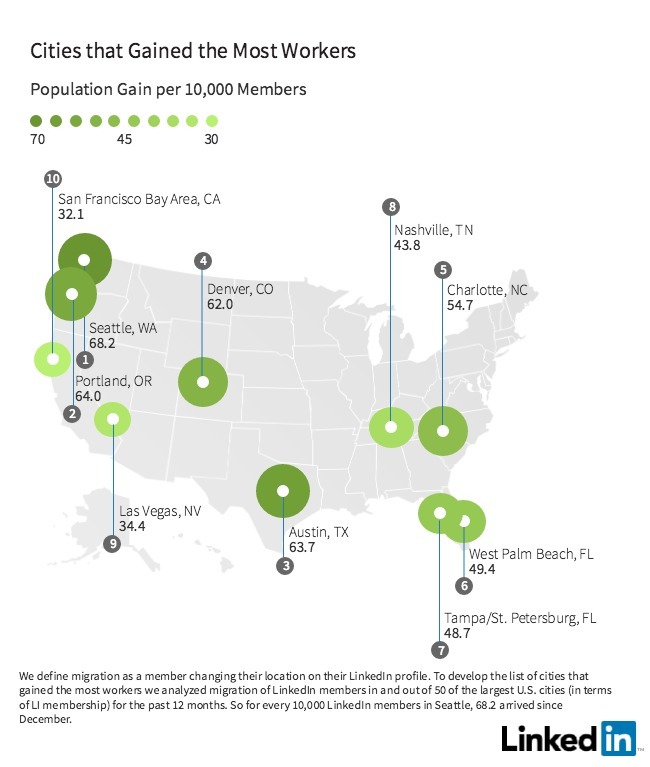 Find all these insights and more in LinkedIn’s full Workforce Report and city-specific reports on Atlanta, Chicago, Dallas, Houston, Los Angeles, New York City, Philadelphia, San Francisco, Seattle, and Washington, D.C.